Note: the pattern uses Jamieson’s of Shetland Heather Aran (100% wool) in Duck Egg (HA1000) which is unavailable. An alternative yarn has been selected - please complete a tension swatch. 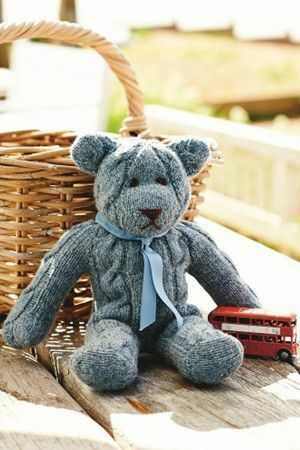 You'll be hard-pressed to find a bear this smart knocking around the shops. 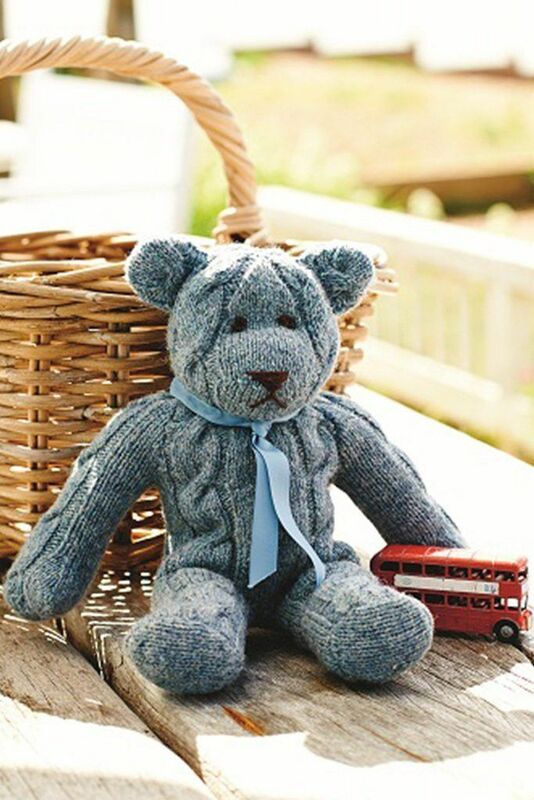 Our tweed cable teddy is a favourite of ours, and for good reason! Not only is he a joy to knit, employing basic cable skills, but he looks fabulous when finished.